So, to kick off the season of warm (…humid…) evenings, backyard barbecues, and long daylight hours (LOVE that! 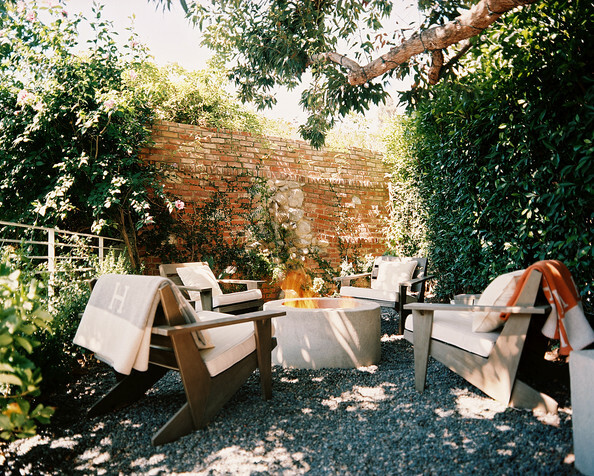 ), here are some outdoor spaces that truly inspire …four spaces, to be exact. Because that’s how many years we’ve lived int this house without any form of outdoor living space. Love this modern patio. Simple, functional, and cool. Hidden gem. I love the feel of this eclectic cabana. Don’t know how practical it is to have a real lamp out there, but it sure looks great. …okay, I had to add one more because I’m in love with the chandelier, too. ← Tips & Tricks Thursday – Be Bright! I’m swooning over that first image with the paper lanterns! 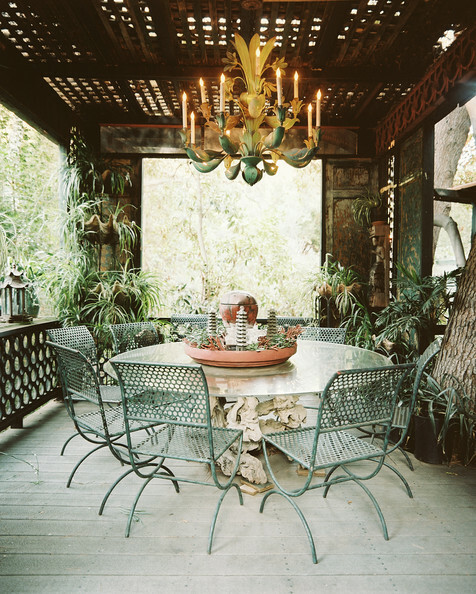 Inspires me to go nap on the patio…love it! I’d take a nap if I had your patio, too! FOUR YEARS!!? Poor you! Any plans to get out there this year? These yards are all fantastic BTW!! Thanks for sharing. The hubs and I recently made our own circular brick outdoor fire pit. It’s fantastic …I’ll blog about it soon, but I still need to find some nice (affordable) chairs to style it up before I post!